Who doesn't enjoy a cold one after a long ride...or during the ride for that matter? 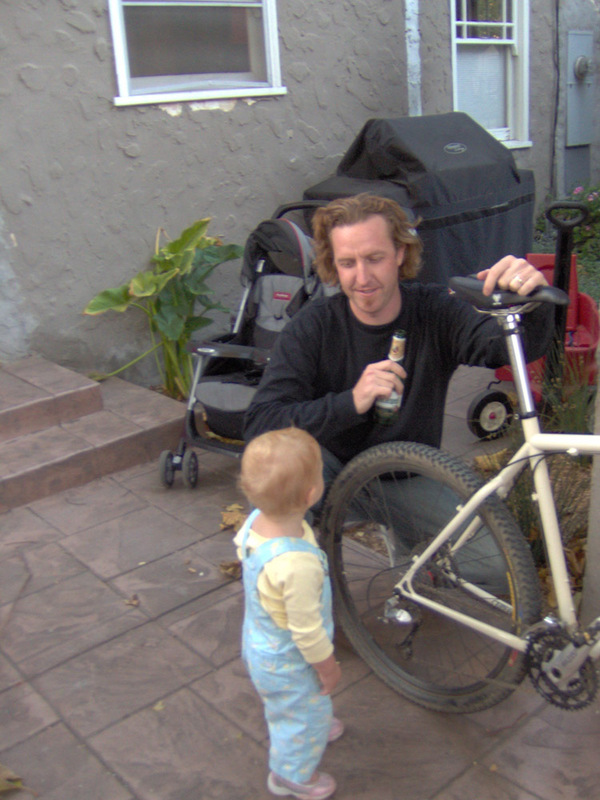 With that in mind, I've been trying to incorporate a bottle opener into one of my machined frame components for quite some time. But I could never get the geometry to look right - either too bulky, hard to access or just plain ugly. 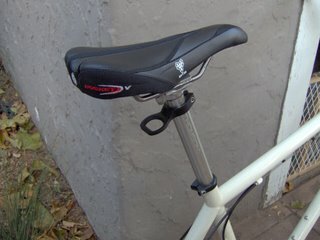 And then it dawned on me, why not make a bottle opener that mounts directly to your seat post? 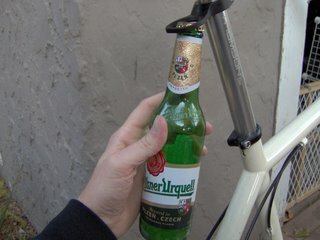 Similar to a seat clamp but adjustable in height for different frame sizes...and beer bottle sizes! 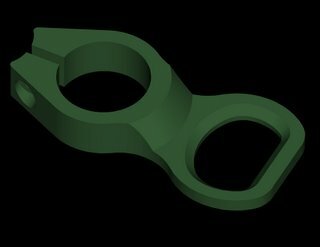 Below are images of my newest invention, the WiseCracker Bottle Opener (was previously called the Wiseass opener). Machined from 6061-T6 aluminum with a hard black anodized finish, these babies take less than five minutes to install - even for the novice bike mechanic that's already had a few. The first prototypes are machined to fit 27.2mm posts and 30.9mm and 31.6mm versions are in the works. Kick back, relax and enjoy a cold brew on your next ride with your constant companion - the WiseCracker bottle opener!